Since: 2001, when he defeated Labor’s Cheryl Kernot. Redistribution details: New boundaries finalised late 2017. Approximately 4000 voters gained in Bridgeman Downs and McDowall. 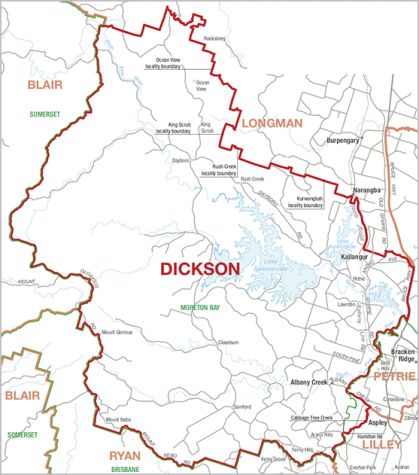 Key Comments: Dickson is currently a marginal seat, which has been held by Peter Dutton for almost two decades. 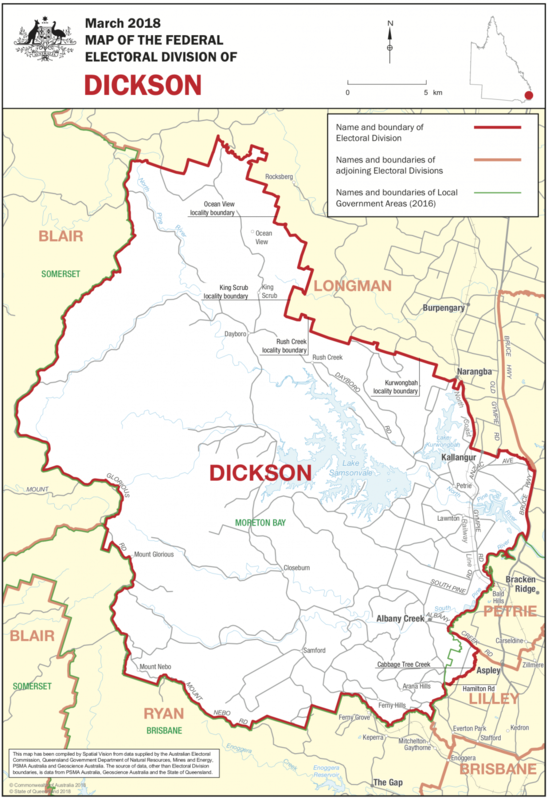 Like neighbouring Petrie, held by Luke Howarth, Dickson is a major target for Labor. An outer-metropolitan seat that will provide a strong indication of the health of the LNP vote in Queensland. “Gosh I really hope they’ve chosen the right seat, because these people are aspirational.” That’s what Michael Lavarch, the first elected Member for Dickson, said to Cheryl Kernot ahead of her 1998 election campaign while giving the new Labor candidate a tour of the area. A double booking saw Benedict Coyne ending up at a campaign launch for The Greens instead of heading to a poetry evening. Two years on and he is The Greens’ candidate for Dickson. Standing proudly next to his favourite Burton, Thor Prohaska is the quirky yet committed independent candidate for Dickson who doubles as a pioneer of Australian snowboarding. Peter Dutton’s Strathpine office is locked. Press the intercom. State your intentions. Once cleared, you may enter. This isn’t Australia’s borders. You’re not an asylum seeker on a boat. That would be another story. It’s not every day that a down-to-earth Aussie bloke with no political experience and a past history of voting for the LNP walks out of Clive Palmer’s office as a candidate for the United Australia Party. But that’s exactly what happened to Stephen Austin. USC may have jumped the gun on construction of its new Moreton Bay campus as the move depends on plenty of party promises leading into the Federal election. 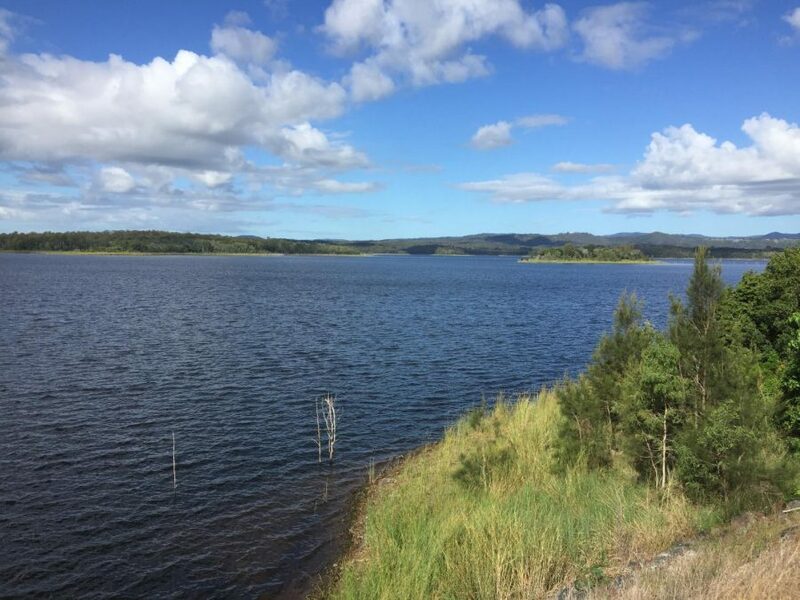 Dickson MP Peter Dutton and Labor candidate Ali France have both accused each other of not caring about the Dickson electorate. The major parties are gaining election momentum by increasing the number of billboards and signs on display. Peter Dutton’s Dickson seat hangs in the balance and his controversial opinions regarding Australia’s multicultural community may knock him off his 18-year perch. Do the voters of Dickson know their candidates? Peter Dutton has one of the most recognised heads in Federal politics, so it’s no surprise that 90 per cent of people surveyed in the Dickson electorate can spot him.